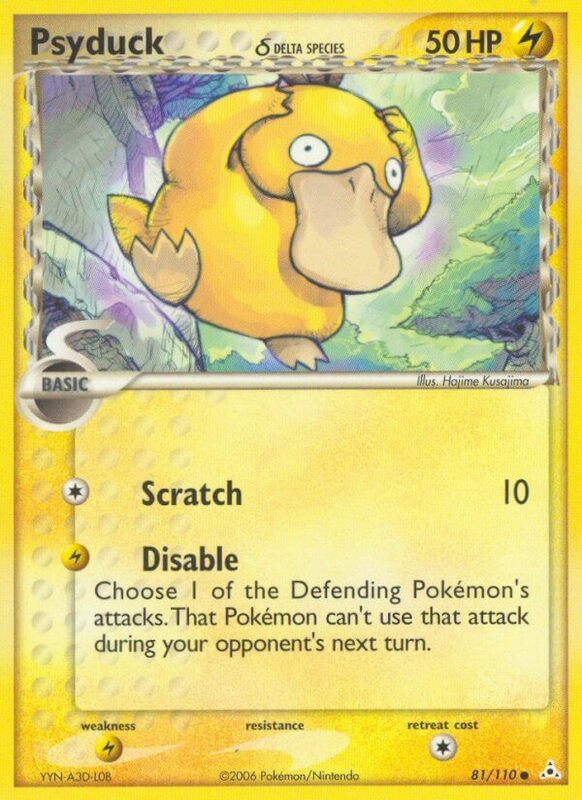 If Psyduck is Confused, draw 2 cards. Flip a coin. If heads, the Defending Pokémon is now Confused. 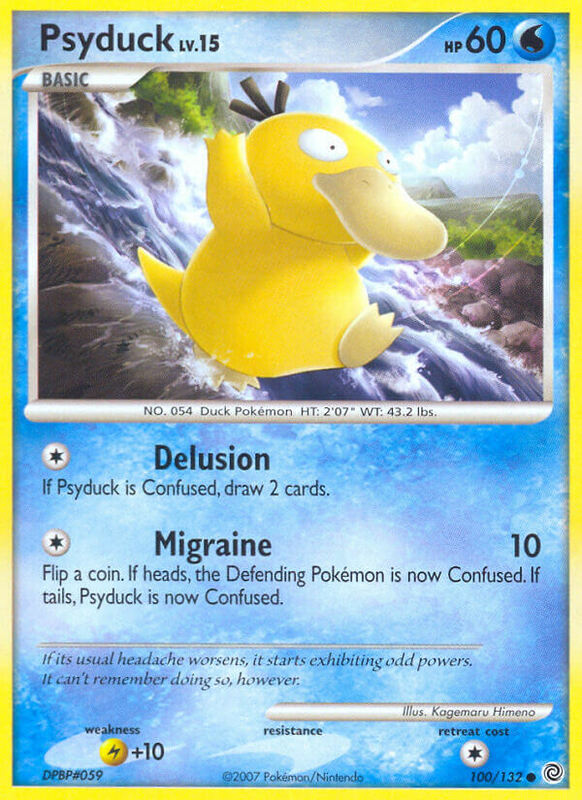 If tails, Psyduck is now Confused. If its usual headache worsens, its starts exhibiting odd powers. It can’t remember doing so, however. Flip a coin. 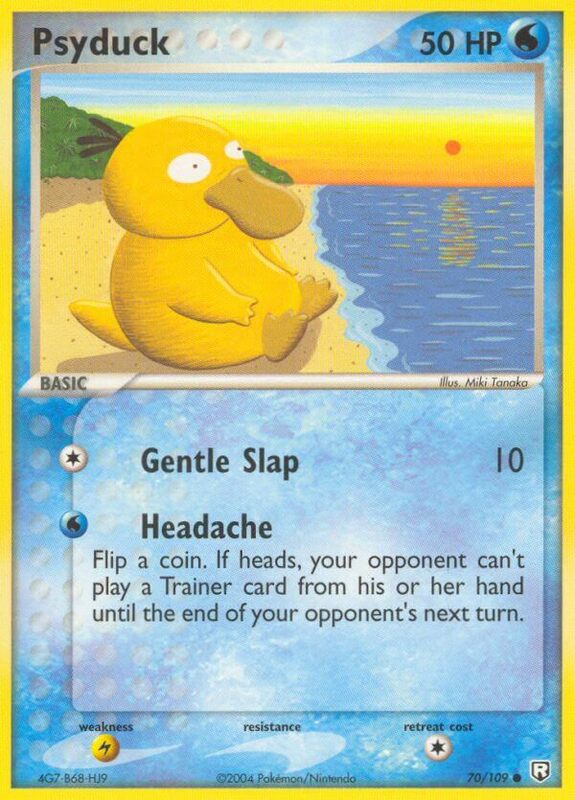 If heads, your opponent can’t play a Trainer card from his or her hand until the end of your opponent’s next turn.